Harbor Boulevard Water Main & Street Reconfiguration - Tait & Associates, Inc. 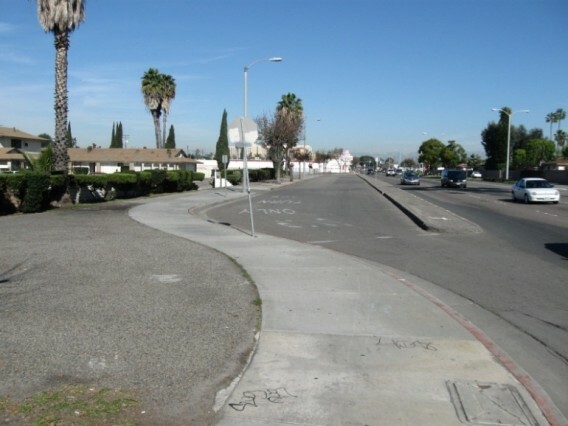 This project included approximately 1/3-mile total length of street reconfiguration, improvements to an existing raised median, a new traffic signal, abandonment of existing 8-inch ACP and 12-inch DIP City water lines, installation of a 800 LF of 16-inch water line, and relocation of SCE and AT&T main distribution service lines. 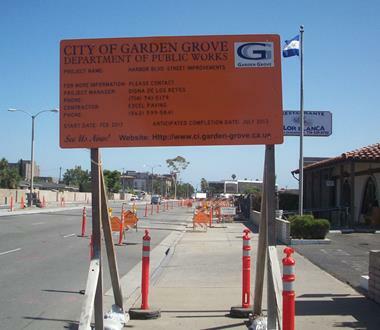 It required the installation of new public storm drains, sewer, and water services to accommodate a future redevelopment project along Harbor Boulevard from Palm Street to Lampson Avenue in the City of Garden Grove. Engineering services required extensive research, review, and a potholing program for the installation of the new utilities and storm drain improvements within the existing six-lane Harbor Boulevard roadway.